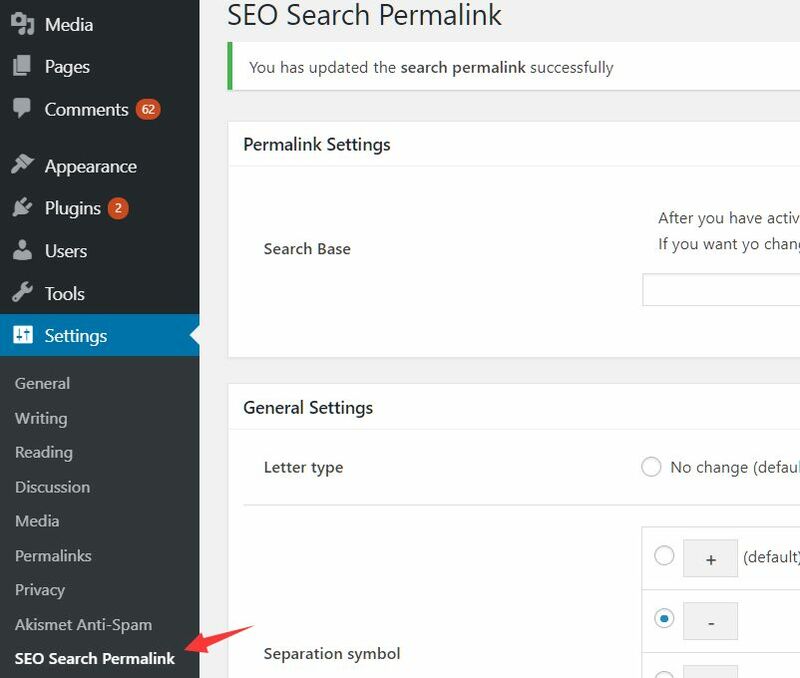 SEO Search Permalink is a WordPress plugin that changes the default search URLs to SEO-friendly URLs. Designed to increase SERP and improve the site’s traffic. It means that the search permalink will be changed from /?s=keyword to /search/keyword. 1. Download the upload the SEO Search Permalink plugin to the WordPress. 2. Activate the plugin and you’re done.